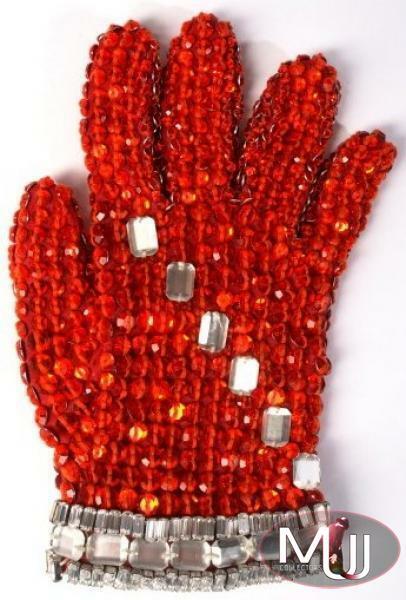 Orange spandex, right hand glove completely covered with orange Swarovski crystals and decorated with rectangular mirrored beads across the back of the glove and the cuff. Exact date unknown, but probably from Thriller era. 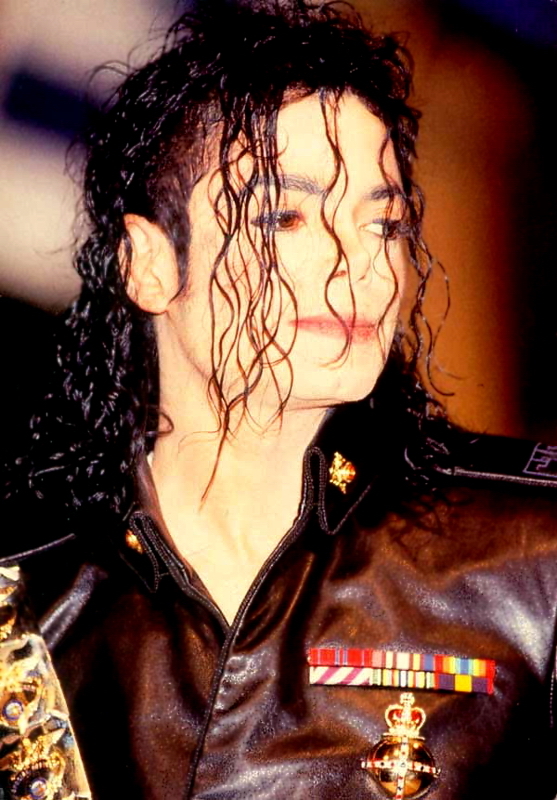 The glove can be seen in the opening sequence of Moonwalker, as the camera sweeps across Michael's dressing room table.